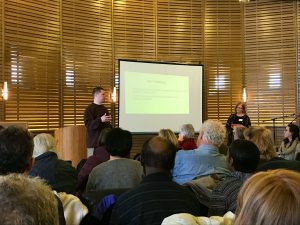 On Sunday, February 5, 2017 ninety-one people attended the showing of Milwaukee 53206 at Congregation Sinai. The event was co-sponsored by Tikkun Ha-Ir and the Social Action Committee of Congregation Sinai. The film, produced by MICAH made it premier at the Milwaukee Film Festival this past Spring. It examines how decades of poverty, unemployment, and a lack of opportunity has contributed to the crisis of mass incarceration in this community, specifically in the zip code of 53206. This gathering gave our North Shore community an opportunity, during Q & A the realization that this isn’t just a problem for zip code 53206, but affect the entire Milwaukee community. Purim- Bring joy and do good! Your Family Doing Good- Join the Family Volunteering Series with THI! Purim 2019- Calling all Mitzvah Heros on 3/13!